Rebel Galaxy will also launch on PS4 and Xbox One later in 2015. Explore the galaxy, acquire new ships, and weapons. Loot, steal, and negotiate along the way and make trusted allies or ferocious enemies in this new action-packed single player game from the creators of Torchlight. 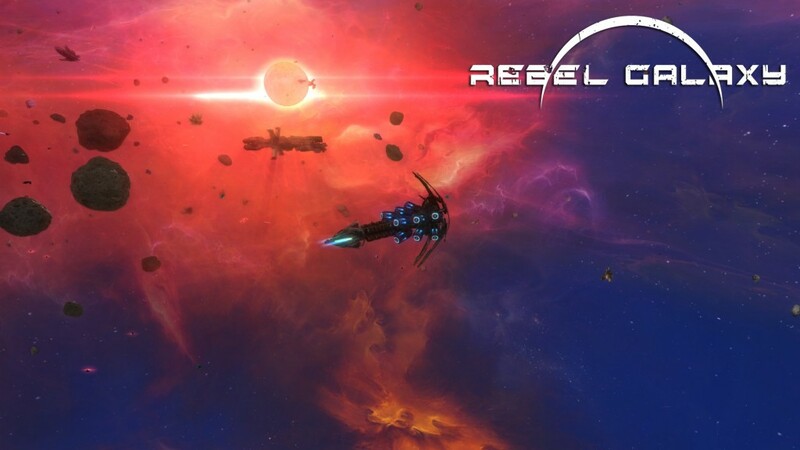 Rebel Galaxy is an action-packed, swashbuckling space opera. You’ll battle pirates, explore anomalies, befriend aliens, scavenge battle wreckage, mine asteroids, and discover artifacts. Choose your path as a roguish do-gooder, crafty space-trader or power-hungry privateer – or maybe a little of each! Buy larger and more powerful craft with your hard-earned credits, and outfit them with a variety of wicked weapons and defenses. Set in a galaxy of fantastic sights and secrets to be found, Rebel Galaxy is above all a space epic of adventure, exploration, and combat. This entry was posted on Wednesday, October 21st, 2015 at 8:54 pm by CoffeeScamp and is filed under News. You can follow any responses to this entry through the RSS 2.0 feed. You can leave a response, or trackback from your own site.